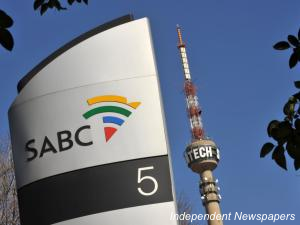 The embattled SABC has been rocked by a new scandal, with the ANC being accused of politically interfering in the process of appointing a new chief executive officer, and the dismissal of the acting incumbent Robin Nicholson. The claims come in the wake of the resignation of SABC board member Peter Harris and the dismissal of the chief financial officer Nicholson, who had been acting in the position of group CEO since the sacking of Solly Mokoetle last year. Nicholson intends suing the public broadcaster for damages. An SABC board member said the board had completed the interviews for the CEO. Its preferred candidate, who came out tops during the process, was Tau Morwe, CEO of the Transnet National Ports Authority. However, according to the board member, the ANC was “unhappy” about the selection process as it and Communications Minister Roy Padayachie wanted Joe Mjwara, a director at Business Connexion who previously worked as the deputy director-general in the Communications Department, to be appointed to the most powerful position at the public broadcaster. “The ANC rejected him (Tau), they want Joe. The minister (Padayachie) has to fall in line. There’s a high possibility, a 99 percent chance that we have to restart the process, because how do you explain that Joe, who came in at number three, should be appointed above Tau, who came in at one? We would have to start all over again,” the board member said. At an ANC communications sub-committee meeting at Luthuli House on Tuesday afternoon, which Padayachie attended, the ANC resolved that the selection process had to be redone because Morwe’s “political activism was not clear”. “Technically, his CV looked impressive, but where he came from, his background politically, was not clear. We don’t want to take chances with the position of the CEO. We don’t know about his activism,” an ANC member said. It’s no surprise that Nicholson was given the boot. Certain board members, those most aligned to the ruling party, have been gunning for him, with one board member saying he had to go as he had “presided over an SABC which had financially collapsed on his watch and now he attempted to be the saviour of the public broadcaster”. “Nicholson’s position has always been in question. It was no coincidence that he was away when this happened. You can make your own deduction. He was told to go to the Auckland Park offices and pack his things. He is humiliated. And as of Friday morning Phil Molefe sits at the helm of the SABC,” said the board member. On Friday, a livid Nicholson said he had served the board with a lawyer’s letter on Thursday night stating his intention to sue. On Wednesday Padayachie, during a specially convened general meeting, amended the articles of association, paving the way for the board to drop Nicholson in favour of head of news Molefe as acting CEO. Nicholson said neither he nor chairman Ben Ngubane had been in attendance. Following the meeting the board met and resolved that Nicholson’s contract would not be renewed. Nicholson said the meeting where Molefe was appointed was not “properly constituted” because the chairman was not present and the directors did not have the powers to appoint an acting chair. Ngubane could not be reached for comment. “In order to defeat me they had to change the articles. They filled the acting appointment and have claimed to have ended my contract,” said Nicholson. He said Padayachie had been more than a sideline player in the bid to unseat him. “Not only did the minister support this but he created the environment where it could happen. Why have an emergency AGM? ANC spokesman Keith Khoza said it was up to Padayachie to decide on who was appointed as SABC CEO.